Apple season is here! 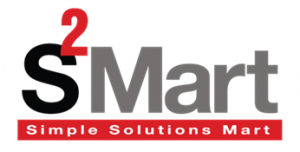 But apples aren’t just for the lunch room anymore! The classroom activities are endless. 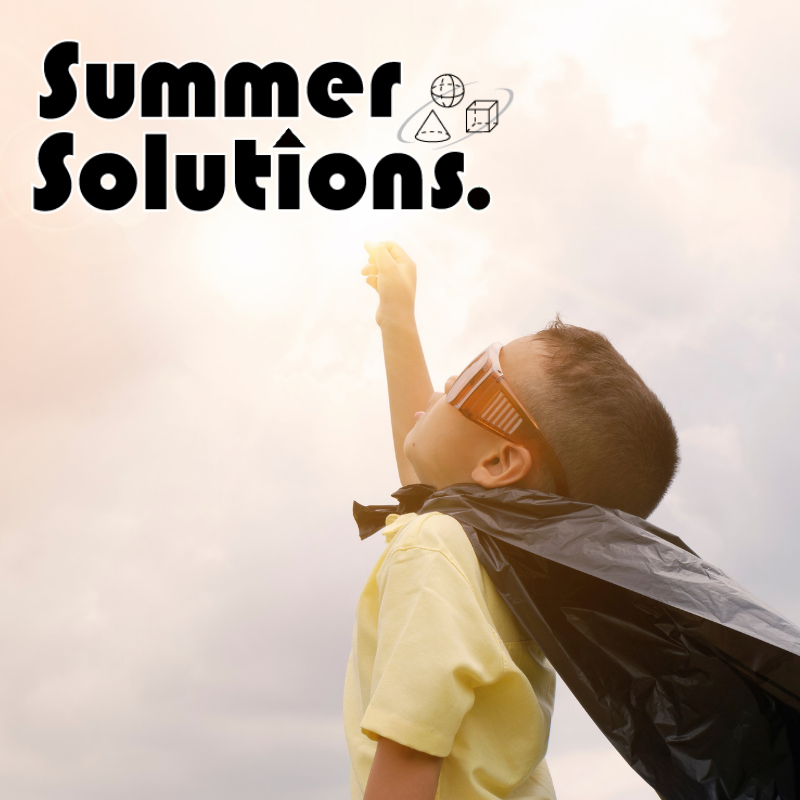 Whether you are looking for an engaging writing project, an interactive science lesson, or a cross-curricular unit, Simple Solutions has got you covered. 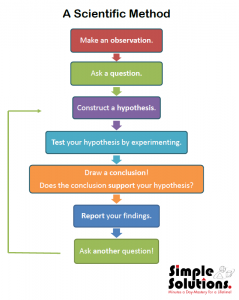 Below are some possibilities to help you “harvest” the most from your class this fall. 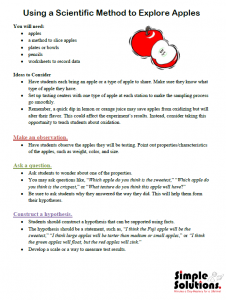 Using a variation of the Scientific Method, have students explore the differences in apple variation. 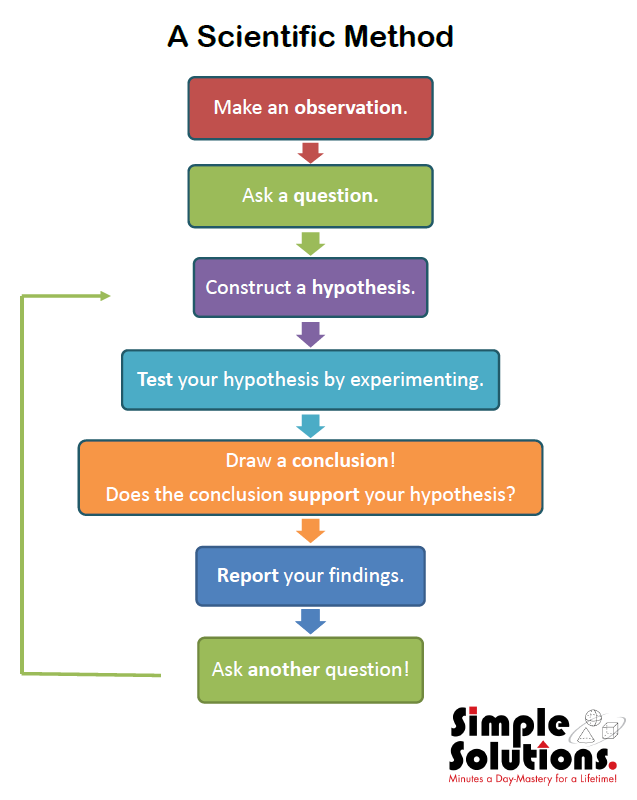 Use our Teacher Instructions and helpful handouts (below) to get started. Take exploration a step further! 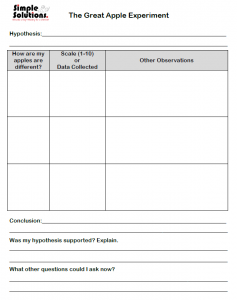 Have students write an opinion or a comparison essay using their experiment notes. 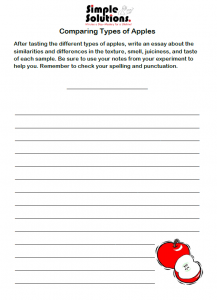 Discuss adjectives, particularly how students used adjectives in their apple tasting notes. Poll students about their opinions and conclusions in order to generate different types of graphs and charts using the data. Discuss the how apples grow from a flower into a fruit. Learn about the food groups and the importance of eating fruit and other healthy foods. Consider discussing why apples begin to turn brown when exposed to air, and that they are still safe to eat. 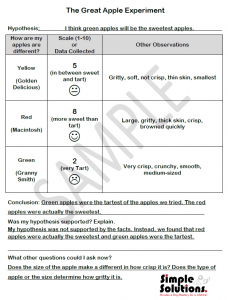 Use apples to explore the five senses. 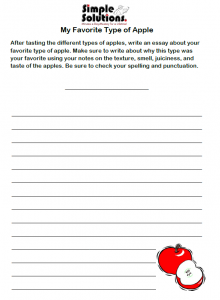 Use adjectives generated by sampling the apples to create spelling or vocabulary lessons. 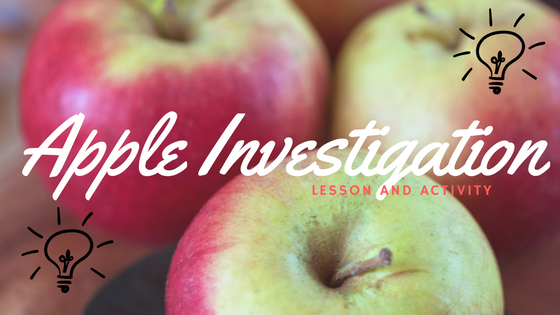 Do some hands-on fraction fun with the help of apple slices.